Happy Monday to my wonderful followers! I just want to take the time out to say thank you to everyone that follows, reads, and comments on my post! So today is not only Monday but laundry day! Thankfully, it’s all done and put away. I mainly got the house straightened and cleaned today while everyone was gone. When I got done it was time to go get the kids from school. 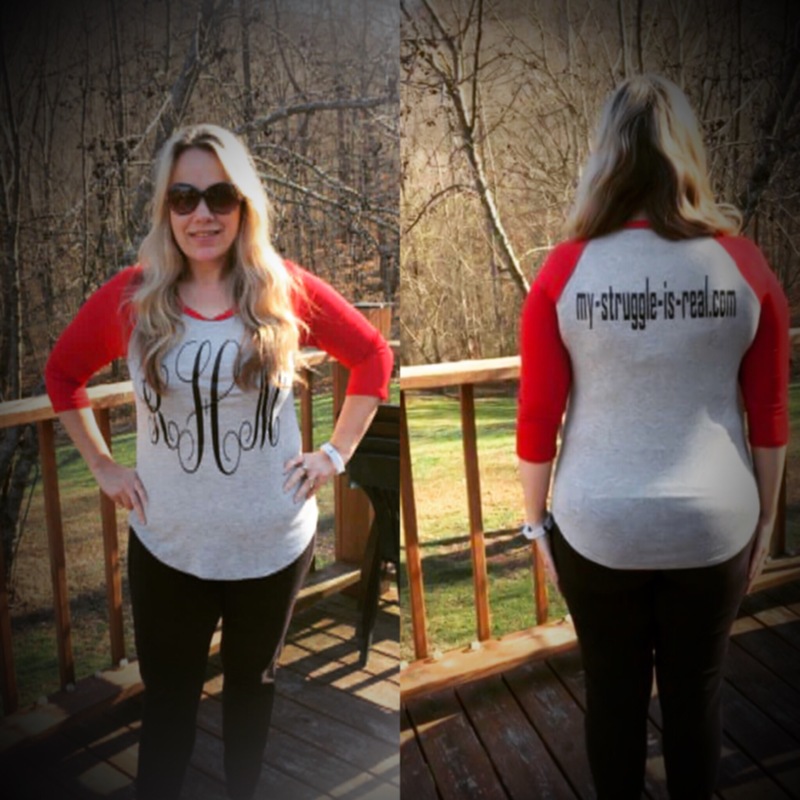 I also picked my shirt up I had made with my website on it. What do you all think? I love my shirt but I can tell I need to work on getting rid of some back fat. I have lost 12#’s since I started this journey. I started blogging on September 1 2016 and will end my blog September 1 of this year. I have 20 pounds to go to reach my goal. I need to step it up if I’m going to reach my magic number. I worry about failing but right now I tell myself it’s not an option! 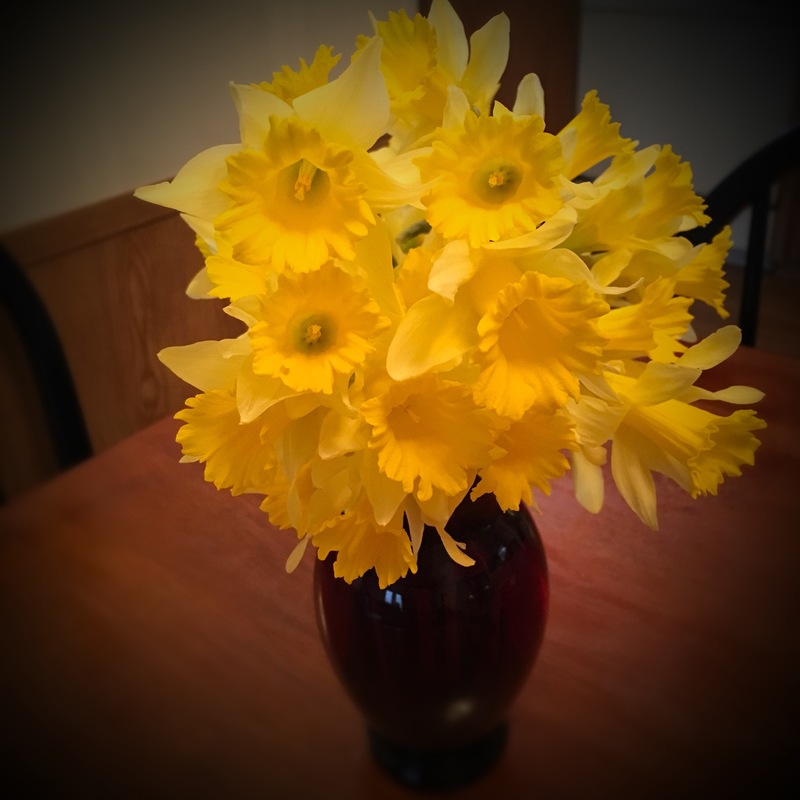 My son brought me home some pretty spring flowers (blog photo) and it’s winter. I told you the weather was crazy here. I have got in my steps with 72 active minutes. I would like to get in at least 15,000 but I’m pretty wore out. My eating has been good today. I’m more worried about tomorrow’s eating. Valentines Day dinner and treats. Moderation is going to be the key there. I will let you know how I do in tomorrow’s blog.